Remember the fabric pumpkins I made? 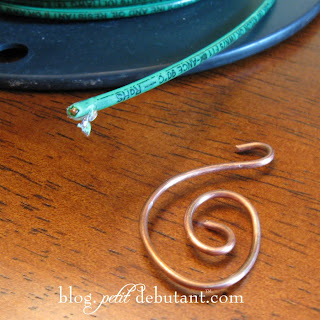 I did eventually get around to adding some copper curly-q's. I didn't want to spend money, sooo I went to the shed and found some wire that we had lying around. I took it and stripped it and then formed them into curly-q's with some needle nose pliers. Easy and Free!